EHR Resources (ASX:EHX) has announced the next stage of its exploration program at the La Victoria Gold Project in cooperation with Eloro Resources Limited (TSX-V:ELO). The drill permit has been issued and the drilling program is underway to target a major new gold zone, identified as Rufina within the Gold-Silver Project in Peru. It is a 5-hole diamond program totalling 2000 metres. 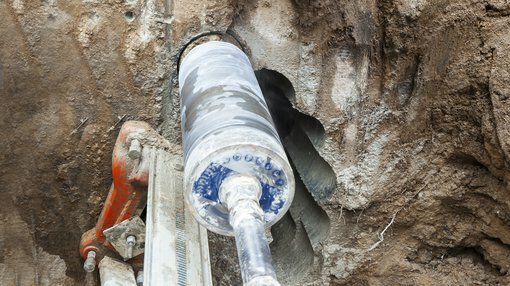 A drill contract has been signed and a drill is being mobilised to site. All preparatory work for drilling including construction of access roads and drill platforms has been completed. It should be noted here that whilst EHX is on the move, it still has a lot of work to do and investors should seek professional financial advice for further information if considering this stock for their portfolio. 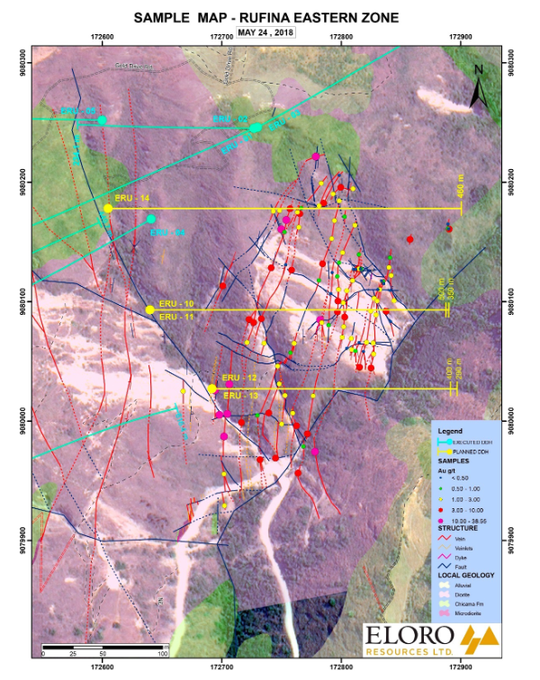 The new target zone, Rufina Eastern, was identified by Eloro during geological surface mapping and sampling which was undertaken at the completion of Hole 6 (ERU-06) last year. Eloro considers this target area to be potentially the core of the epithermal gold system at Rufina. Preparations are also underway to drill at San Markito to the north of Rufina, and this program will start as soon as drilling permits for this primary target are in place. 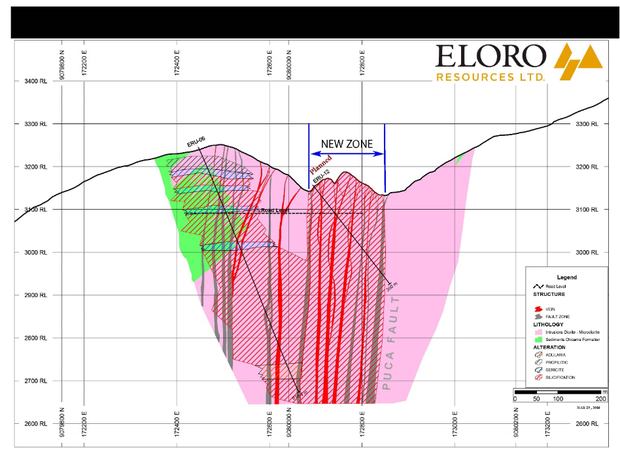 Chief Technical Advisor for Eloro, Dr Bill Pearson, stated: “Epithermal gold mineralization at La Victoria extends from elevation 2700m at the end of deep hole ERU-06 up to 4200m elevation at San Markito, a remarkable 1.5km vertical extent. It is likely that there are multiple telescoping epithermal gold systems.